Renault R.S. 2027 Vision. The future of Formula 1? Renault R.S. 2027 Vision. The future of F1? We cannot display this galleryThose of you curious to know what Formula 1 cars might look like in 10 years time might want to check out this official concept from Renault, the R.S. 2027 Vision. Unveiled at this year’s Shanghai Motor Show, the R.S. 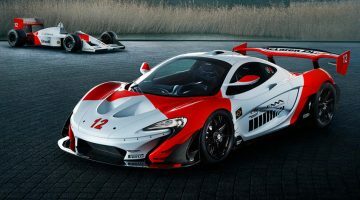 2027 Vision aims to ‘anticipate the future of Formula 1’ and thus focuses not only on improved performance and racing in motorsport’s elite series, but also on improving the spectacle for race-goers and a ‘more human-centric championship’. Hence the transparent cockpit canopy – and, theoretically, a transparent helmet – so fans can see the drivers more clearly. As the radical looks demonstrate though, the rationale runs much deeper than this. The bodywork of the R.S. 2027 Vision for instance is 3D printed, meaning each car can be purpose designed for specific driver shapes and sizes. 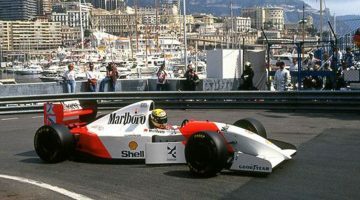 LED-based sensors are also mounted in the wheels, allowing the car to transmit information such as race position and remaining power reserves directly to fans sitting in the grandstands. Safety is also a concern, the concept formatted for autonomous driving that can be activated in the case of an accident, plus an ‘ultra-resistant polycarbonate cockpit canopy’ to protect the driver against impact damage. 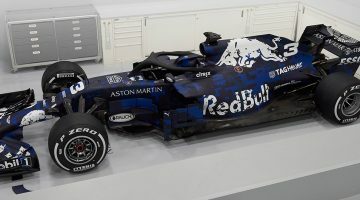 Surprise surprise, the powerplant is mostly hybrid, and combines two 250kW electric motors with a variant of the turbocharged V6 currently used by Renault’s official F1 team. This means the 60kg fuel tank in the R.S. 2027 Vision is also more than half the size of that used in Renault’s R.E. 17 F1 challenger this season. Enjoy this Renault R.S. 2027 Vision news story?